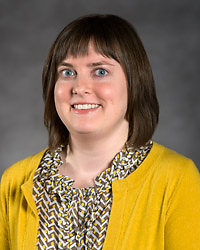 Elinor Frisa joined University Public Affairs as a Web editor in August of 2012 and began managing the VCU home page in September 2013, shortly after the launch of the website’s redesign. Before she came to VCU, Frisa worked at the Council for Advancement and Support of Education in Washington, D.C., as a production editor for CURRENTS magazine. She has also held previous positions as a managing editor at Heldref Publications and a copy editor at the American Meteorological Society. Frisa, a Virginia native, earned a bachelor’s degree in writing, literature and publishing from Emerson College in 2002. She went on to earn a master’s in publishing from the George Washington University in 2009.